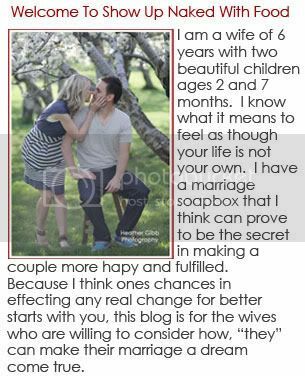 I've felt like this blog is what you said, a simplification of how we can help improve our marriages. Obviously every marriage is different and requires tweaks to any and all advice everyone gives. I love that in the church there isn't advice given on how much love making there needs to be or how many of the chores the husband had to participate in. Instead, we are told to do those things that are necessary for our eternal salvation and if we do, we will be sensitive to the spirit. If we have the spirit we can't help but be in tune with our spouse and be able to meet their needs before they become needs. Thanks again for all your posts. I love them all!